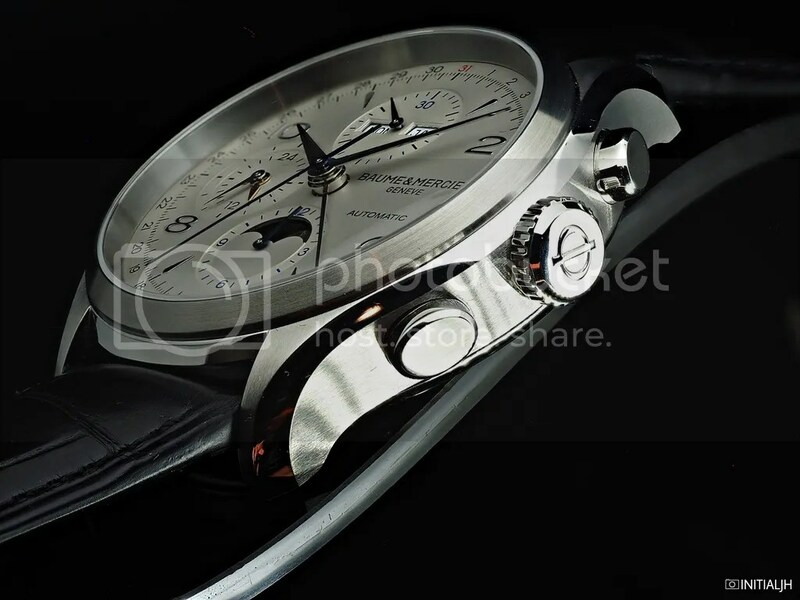 In recent years Baume & Mercier’s Clifton range has entrenched its position as ‘the’ collection for those wishing to enter the world of luxury watches via Baume. They are classic timepieces which contain solid movements, and are versatile. 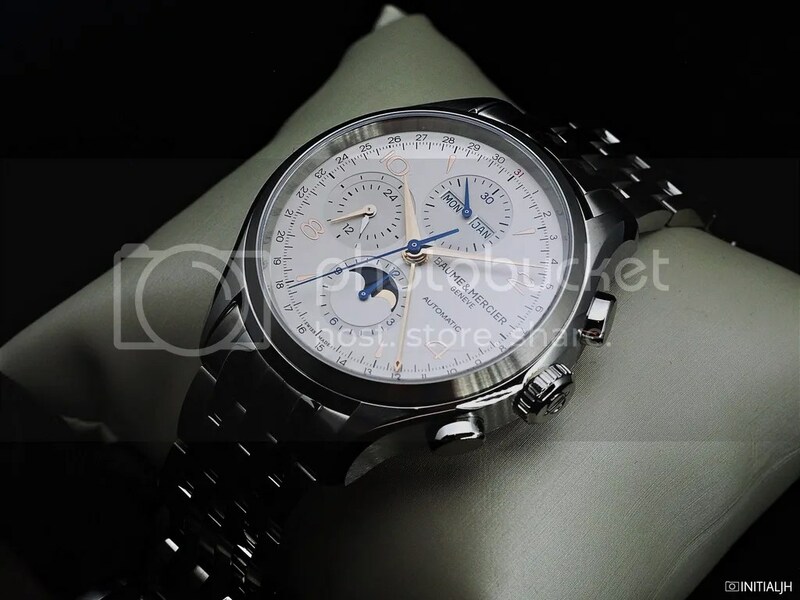 Now, Baume have added another complication to the range – meet the Clifton Chronograph Complete Calendar. This is not the first Clifton featuring a calendar feature; for example there was the Retrograde Date and Big Date, but is a new combination. So let’s look at the dial, which is, in keeping with the brand and this collection, classically laid out. The layout will also hint at the inside, for those famliiar with such things. Baume & Mercier have decided to emphasie legibility at a glance by using different coloured hands for different indications. The time is as per convention, with the two hands on the central axis, and a small seconds sub dial at 9 o’clock with rhodiumed hands. There is also a day/ night indicator at 9 o’clock and a 24 hour scale with a gilt hand. The hand with the arrow-tipped point on the central axis points to the date, there are two windows at 12 o’clock with the day of the week and month, and a moonphase at 6 o’clock. Now for the chronograph function, which is indicated by the blued hands with its seconds noted by a long blued hand. The 30-minute counter is at 12 o’clock and the 12-hour counter is at 6 o’clock circling the moon. The rest of the dial is faithful to the Clifton watches, with silvery white main-plate and metallic applied indices. 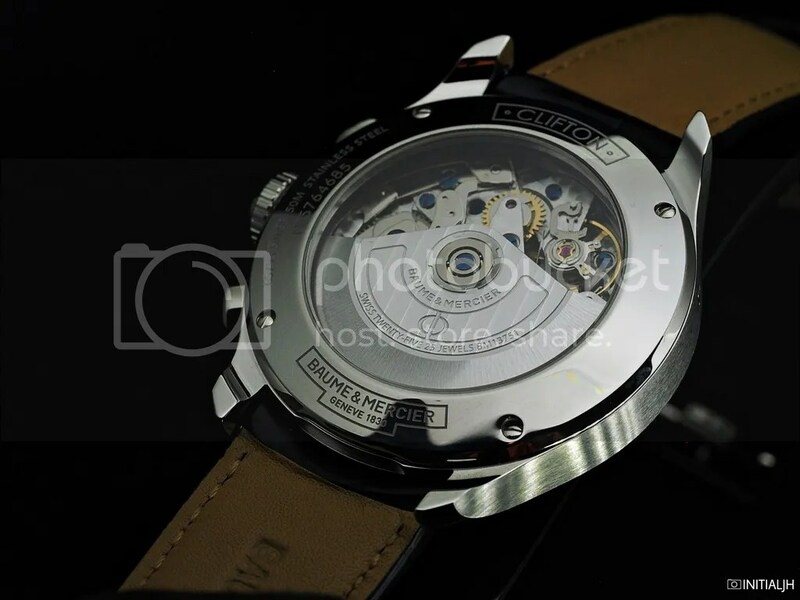 Inside the usual Clifton 43mm case is the automatic Valjoux 7751 (what I mentioned at the outset about the dial layout hinting at the movement, for those who are interested or know such things) finished with an engraved rotor, adorned with Geneva stripes, blue screws and perlage on the mainplate and bridges. Coming on a alligator straps, these are watches that aren’t about pretending to be anything other than what they are – watches to be used for functionality and not fashion, and for longevity. 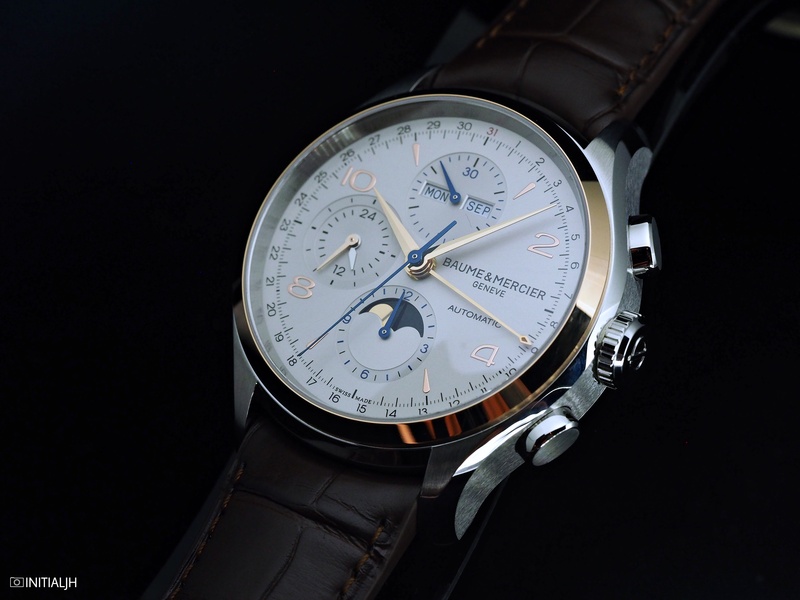 For those wanting to enter the world of luxury watches and want something with more than one useful function on it, this is another classic offering from Baume & Mercier. 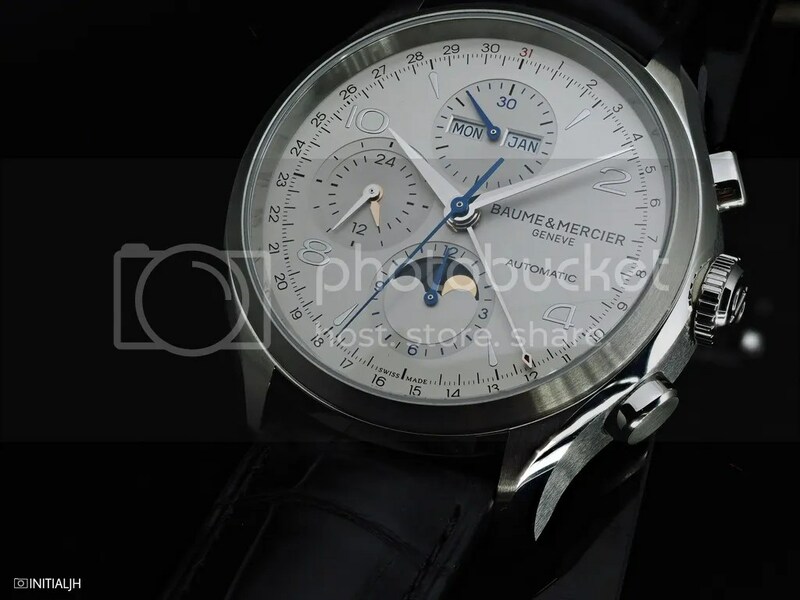 I have rcently bought a Baume&Mercier Clifton Chronograph Complete Calendar MAO 10280 powered by Valjoux 7751 automatic and I’m happy and proud of it! It has 6 complications and moon phase display. It wears very easily and comfortable with the crocodile strap.